Not what you say you’ll do. The road to a better you starts here. You want to workout to look your best and feel your best. You don’t want to drive across town to get to the gym. You want to get in, workout, and get on with your life, without having to fight for equipment, feel cramped while you are working out, and definitely without any attitude. You want plenty of equipment, machines, and options to maximize your workout potential. At Boulevard Fitness, you’ll find all of those things and more. 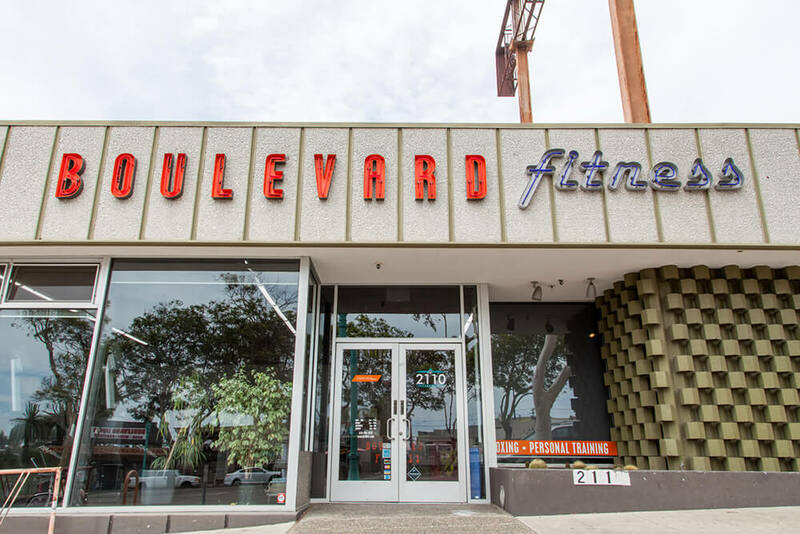 Located on El Cajon Boulevard at the cusp of North Park, Hillcrest, and University Heights, Boulevard Fitness is right around the corner. The vibe inside feels like a small neighborhood gym, but with over 10,000 square feet of gym floor space, our gym is far from small. We have a HUGE weight room with a full complement of free weights and machines, a dedicated cardio room, fitness class room, boxing/kick-boxing area, TRX area, and dedicated Crossfit area. Stop making excuses, grab your free 3 day pass, and come down to Boulevard Fitness to check out your new fitness home. We will give you a free tour to show you around and help you get started on the path to looking and feeling the your absolute best.